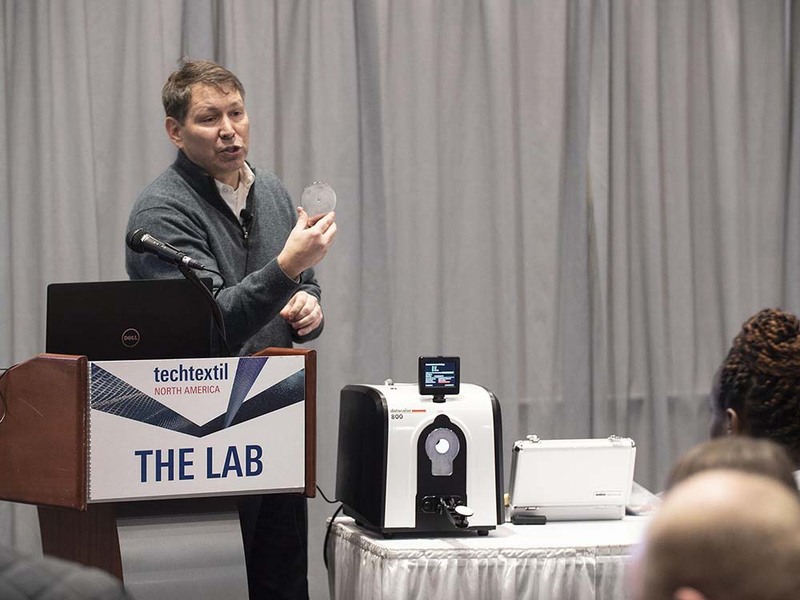 More than 3,000 people attended Techtextil North America in February. Messe Frankfurt presented the North American edition of its Techtextil conference, Feb. 26-28 in Raleigh, North Carolina. 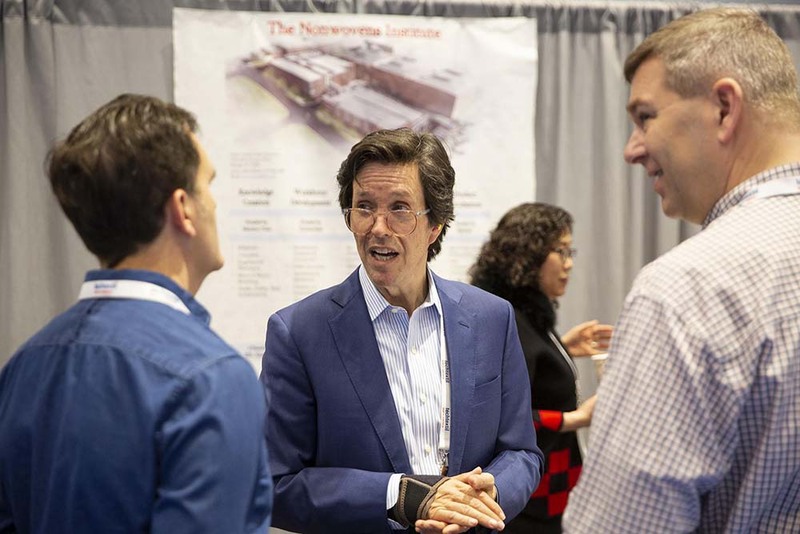 The conference, which aims to serve the full scope of the technical textile industry from research and development through to the end product, leveraged its location in the heart of the U.S. textile industry to attract more than 3,000 attendees. According to Dennis Smith, president of Messe Frankfurt North America, pre-registrations for this year’s conference exceeded final registration numbers from its Chicago conference in 2017 – the last time Techtextil was located outside of Messe Frankfurt North America’s home city of Atlanta. All told, attendance was up more than 50 percent over the Chicago conference, with 32 countries represented in total. North Carolina has a history in textile production that dates back to approximately 1815, when Michael Schenck is credited with creating the state’s first cotton textile mill in Lincoln County, North Carolina. Today, North Carolina leads the U.S. with more than 700 textile manufacturing facilities, employing more than 42,000 people. In addition, North Carolina State University’s Wilson College of Textiles, located in downtown Raleigh, serves as a hub for textile research and development and as a primary supplier to the industry talent pipeline nationwide. 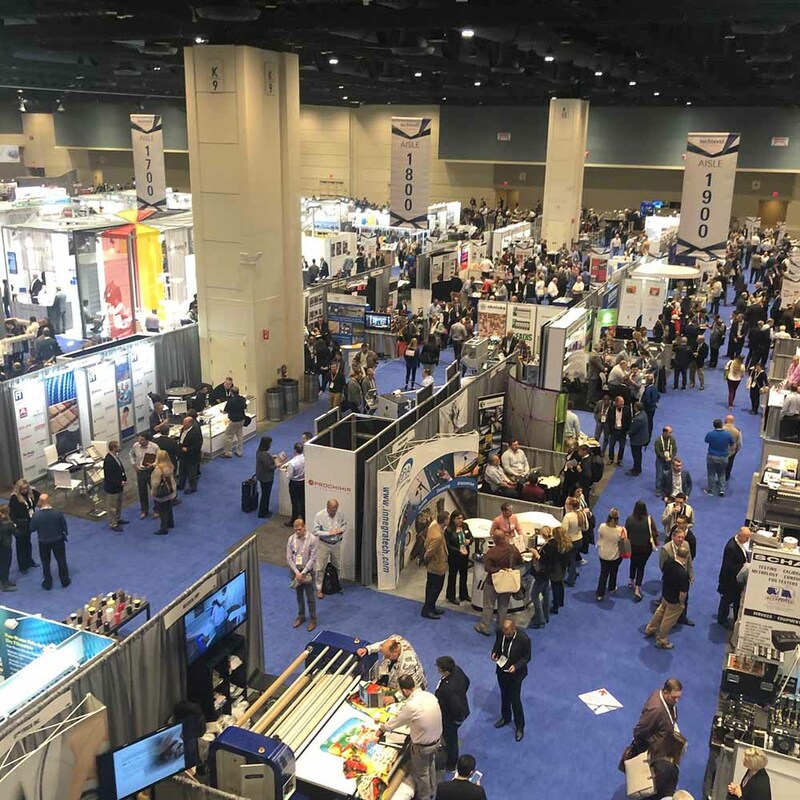 N.C. State’s Wilson College of Textiles played a key role in developing the programming for this year’s conference, serving as the first-ever official academic partner of Techtextil North America. 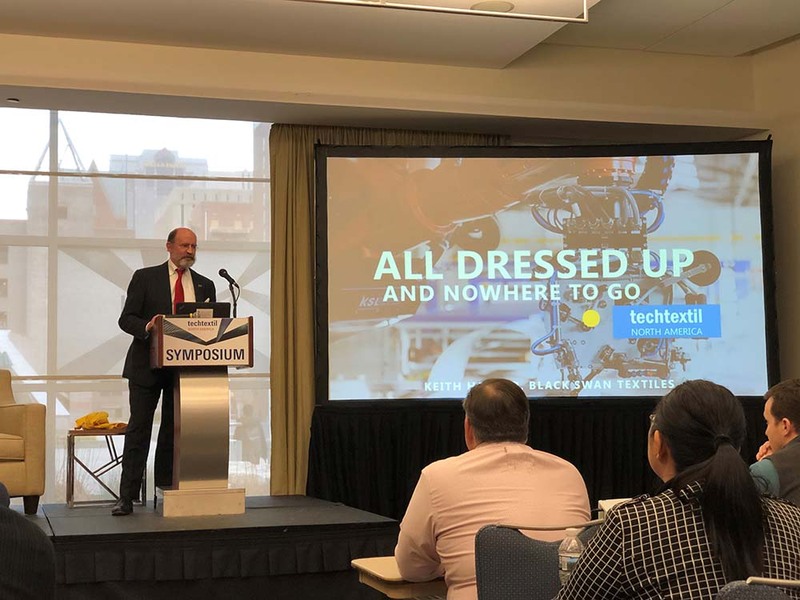 Through this partnership, Techtextil was able to tap into N.C. State’s knowledge base to provide enhanced educational opportunities to attendees, including Symposium sessions, Tech Talks, and poster presentations. The Tech Talks, powered by The Nonwovens Institute, offered a line-up of mini-sessions presented by select participants of the Student Research Poster Program. 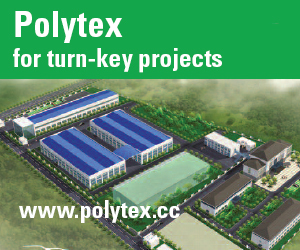 Topics included composites, digital textile printing, e-textiles and smart fabrics, functional materials, medical and hygiene, nonwovens, nanofibers, and sustainable fibers. Techtextil North America also partnered with Gaston College’s Textile Technology Center and the American Association of Textile Chemists and Colorists (AATCC) to present The Lab, an area on the show floor featuring the latest in testing equipment with talks and demonstrations from experts in testing and quality management. Topics included color fastness, clothing comfort, e-textiles, and moisture testing. N.C. State also hosted an evening reception with education opportunities and tours of laboratories and fabrication facilities at the Wilson College of Textiles and The Nonwovens Institute. 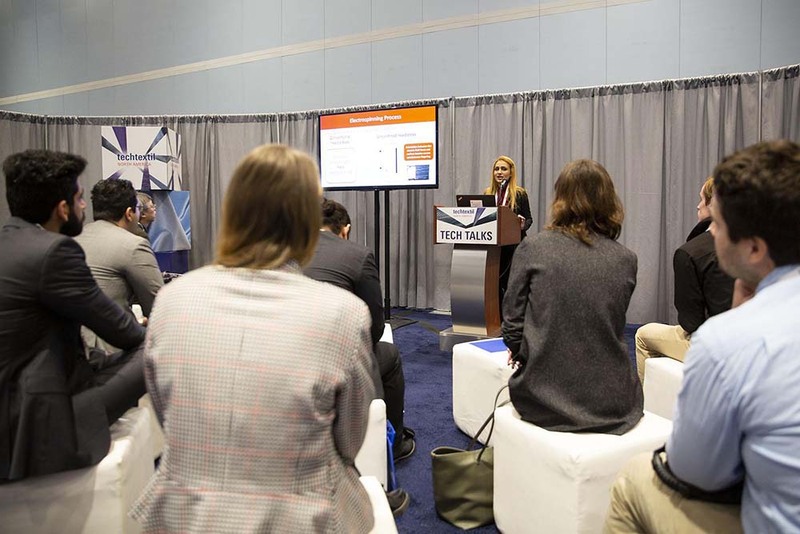 Among the highlights at Techtextil North America were the symposium sessions, which offered attendees the opportunity to learn from subject matter experts about key trends, innovations and issues facing the textile industry today. Sessions focused on topics ranging from advancements in personal protective equipment, medical, aerospace, smart textiles, fiber, nonwovens, and digital transformation/Industry 4.0. During the symposium session “Personal Protection in Hazardous Environments with Textiles,” presenters from LION, N.C. State, and the U.S. Army Natick Solider Research, Development & Engineering Center (NSRDEC) discussed how safety textiles are evolving. The common thread among the presenters during this session was that while protection is paramount, the primary challenge in designing PPE textiles for hazardous environments is finding a balance between protection and comfort. Bryan Ormond, Ph.D., assistant professor within N.C. State’s Wilson College of Textiles, discussed research on how different firefighter hood materials and designs protect against toxic smoke particles while providing acceptable wear comfort and thermal protection. Recent analyses of fire ground exposures and cancers in firefighters have exposed limitations in hood designs. And the NFPA 1971 standard on firefighter PPE does not address particulate protection or thermal heat stress associated with hoods. Dr. Ormond’s work aims to identify a proper method for evaluating the performance of materials from the perspective of particulates/filtration efficiency, thermal properties and wearability. 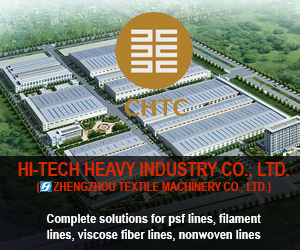 He said the latest generation of membrane-based hood materials offer excellent particulate blocking with nonwoven filtration material that is flame resistant. But comfort and maneuverability must also be factored into the design. Richard Harris, R&D Design Innovator for LION, discussed the long and torturous path his team traversed in developing the company’s Nomex Nano Flex technology, on which LION’s Red Zone Contaminant Control Package is based. He said the technology went through many rounds of testing and retesting before it was ready to go to market. “For every success, you’re going to have nine failures, but that’s OK because those nine failures are what you need to get to the success,” he said. While medical is one of the largest categories within technical textiles, it is also one of the most complex. Combining sophisticated technology with life and death scenarios in a highly regulated environment makes the path to market extremely challenging. During the symposium session “Moving New Medical Textile Products from Concept to Market,” Andrew DiMeo, Ph.D., an innovation and design coach with industrial design firm, Trig, explained that there is a shift in mindset required to innovate in today’s marketplace. He said most product designers think of “what” when they approach product innovation, but they really need to be thinking about “how.” People, he said, want outcomes, not devices, particularly in medical/life sciences end-use markets where health and well-being are the focus. Elaine Duncan, president of Paladin Medical, discussed the regulatory challenges innovators in the medical space face when attempting to bring new products to market. While game-changing technologies, such as smart textiles, are now being leveraged for medical applications, some of the guidance documents for the industry date back to the late 1990s. The iconic images of the medical industry in the 1960s and 1970s were doctors in masks and gowns, wrapped instruments, and bandages. Today, Duncan said the Food and Drug Administration (FDA) has 46 classifications for mesh devices; all but two of which are for mesh implants; and of those classifications, all but one is designated Class 2, which does not have “preemption” protection in a court of law. Preemption protections are designed to ensure medical devices that are “substantially equivalent” to FDA-approved devices that were on the market prior to 1976 are not subject to different or more stringent safety requirements at the state level. Regardless of the challenges, medical devices remain a vibrant area for innovation, as the demand for technological solutions is high – as are the potential revenues. While smart textiles have received much discussion over the past decade, real-world applications of intelligent wearables and apparel remain scarce. Matthew Kolmes, CEO of Supreme Corporation, a manufacturer of smart yarn technology, said the lack of standards for wearables and smart textiles, particularly for connectors, is holding product development back. “The more there is a structure, the more you can create and innovate rather than having to make everything yourself,” he said. According to Kolmes, the primary reasons smart textiles remain a challenge for real-world applications are: 1. metallized yarns tend to flake when processed; 2. conductivity is low; and 3. the price point is high, particularly if silver is used. That said, Kolmes believes innovations are presenting opportunities to overcome the traditional challenges smart textiles face. 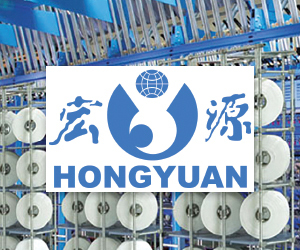 For example, he said new forms of metallic yarns have 18 copper wires, offer customizable conductivity, and can be used as a BUSBAR for more efficient power distribution. This technology is particularly well suited for applications such as heated fabrics, which is an area many see as a logical mass appeal application for smart textiles. Allison Bowles and Rebecca Wilson, engineers with Flex, a product design and go-to-market firm, discussed a smart shirt that measures aerobic and anaerobic thresholds to determine the ideal training pace for distance runners. The shirt, which is capable of tracking within 1 percent certainty of a metabolic cart for VO2, utilizes electronics and textile sensors. One of the challenges Bowles and Wilson faced in designing their smart shirt was rooted in the inherent difference in the manufacturing process for technology versus apparel. While apparel manufacturing generally involves human inputs, which introduces variability, technology manufacturing is highly automated with the aim of designing variability out of the process. “Smart textile manufacturing has to work toward a process that has less variability,” said Wilson. Washability is also a challenge facing smart textiles. If the technology cannot be washed and maintain its performance, it will likely be a hard sell as a wearable to the general consumer market. Studies have shown that many metallized threads and yarns show a significant increase in resistance after just a few washes. As such, either the technology will need to evolve to provide better washability characteristics, or the washing process itself may need to change. Marty Lawrence, industrial engineer and strategy specialist for Dream Catcher Innovation Labs, noted that smart technology is also potentially hazardous to the environment if disposed of in a traditional landfill, so recycling options must be considered as more smart textiles come to market. According to the U.S. Environmental Protection Agency, 16 million tons of textile waste was disposed of in 2015, and only 15 percent of it was recycled. If more textiles contain metals and electronics, Lawrence said the disposal of such textiles is a potential stumbling block for development, as current recycling schemes are not very effective and may not be appropriate for e-textiles. During the fiber segment of the symposium, biomaterial startup TexDel and sock manufacturer Kentwool discussed how they partnered to develop a pain-relieving sock line based on medicated yarn fibers. The socks, called SensationWool, incorporate TexDel’s NuFabrx technology to provide temporary relief of foot-related aches and pains from strained muscles and joints. The NuFabrx yarn, infused with Capsaicin, is a patented and washable biomaterial that embeds active ingredients within fibers and is programmed for predictable, long-lasting release. The development of TexDel’s NuFabrx technology was enabled in part by a partnership with the Manufacturing Solutions Center in Conover, North Carolina. At the Manufacturing Solutions Center, TexDel was able to test and learn how to scale its technology so it was ready for a real-world application. “To be able to make a yarn, walk down a hall, have it knitted, and walk down another hall, and have it tested and validated is something you can’t get anywhere else,” said Jordan Schindler, CEO and founder of TexDel. With its one-stop-shop capability, the Manufacturing Solutions Center enabled TexDel to cut significant cost out of its manufacturing process. It also helped it acquire nearly $2 million in capital and connect with Kentwool for the SensationWool project. SensationWool socks are currently available for purchase on the Kentwool website, kentwool.com, and the two companies plan to continue working together to expand the SensationWool product offering. 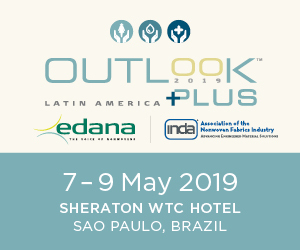 During the symposium session “New Developments in Nonwovens,” Tom Daugherty, deputy director for The Nonwovens Institute, said filtration figures to be a significant driver of nonwoven uptake in the years to come, with an expected growth rate of 6.4 percent year over year (INDA/EDANA “Worldwide Outlook Nonwovens Industry”). Indoor air quality, in particular, will be a key application for nonwovens, as the demand for filtration efficiency increases and nonwovens are well positioned to take share from other filtration materials. From a technology perspective, Daugherty said there will be a need for smaller and smaller fibers as indoor air quality becomes an increasingly pressing issue. EPA studies have found that small particles less than 10 microns in diameter pose the greatest health concern, as they can get deep in lungs and even into the bloodstream. 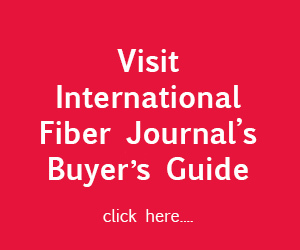 Fiber size relative to particle size is key to invoking effective capture mechanisms for best filtration efficiency. Nonwoven manufacturing technologies are responding to this need, with meltblowing capable of producing submicron fibers, electrospinning capable of producing nanofiber nonwovens, and emerging technologies such as shear spinning, force spinning, melt fracturing and solution blowing all pushing toward smaller and smaller fibers. NWI and N.C. State have also been conducting research on using high-density dies to reduce fiber diameter at constant total throughput. Results have shown filtration performance is improved with high-density dies. However, defects, such as shots, roping and spheres in the filter material, can limit substrate performance, e.g., barrier and filtration efficiency. Also, during the nonwovens session, Eva Welsh, North American market manager for Freudenberg Performance Materials, discussed the enhanced filtration performance of the company’s latest generation of Evolon super microfilament technology. While the original Evolon microfilaments were divided into 16 segments and sized up to 100 times thinner than a human hair, the new generation of technology has 32 segments and is up to 200 times thinner than a human hair. As such, the technology offers a higher-density barrier in, for example, bedding applications, offering enhanced protection against mites, allergens, and other kinds of particles. Lothar Kairle, of American Trutzschler Inc., discussed the challenge the wipes segment is facing with concern over plastics in the environment. With most wipes containing plastic (PET, PP) fibers, Kairle said the drive toward more environmentally friendly options is becoming increasingly pronounced. And he made the case that carded hydroentangled (spunlaced) wipes from cotton, hemp, and flax, and wetlaid hydroentangled (spunlaced) wipes from pulp and other biodegradeable fibers offer a potential solution. According to Kairle, Trutzschler’s random card line concept enables reliable processing of unbleached and bleached cotton fibers for wipes, while the company’s wet-laid line concept is a proven technology that can generate wipes from pulp/lyocel that offer similar wet strength as conventional wipes. Mark Johnson, P.E., head of sales for the Nonwovens division of ANDRITZ, discussed his company’s neXformer concept for glass fiber manufacturing. He said the technology is a response to market demands for thinner products with paper-like appearance, the strength and porosity of glass, and higher manufacturing efficiency. 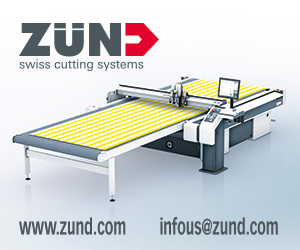 ANDRITZ’s neXformer is the foundation of the company’s wetlaid technology. It offers improved formation in three steps: 1. pre-diffusor; 2. main diffusor; and 3. optimal shaped manifold. The manifold’s parabolic shape enables highly efficient pressure/flow distribution; the pre-diffusor is tailor made to match the manifold design and provides optimal pressure drop function for the CD profile; and the main diffusor provides nearly 100 percent guided flow outlet for a homogenous web with no undefined turbulences. Industry 4.0, or “Industrie 4.0” (depending on which side of the pond you are on) or Internet of Things or Industrial Internet of Things (depending on whom you talk to), has been touted as the next industrial revolution. 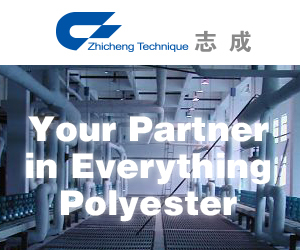 And, as such, it received some consideration at Techtextil North America. However, whereas other industries have been working toward Industry 4.0 solutions for several years and are starting to roll out real-world applications, the textile industry has been slow to move forward on this front. “Today the apparel industry is focused on the idea of ‘Do stupid faster.’ It doesn’t have to be better, it just has to be faster.” said Keith Hoover, president of Black Swan Textiles, a consulting firm that works with companies in the textile and apparel space to develop models for enhanced production and performance. According to Hoover, the textile industry is on the steep part of the Industry 4.0 change curve, and solutions will require a complete rethinking of the supply chain from fiber and fabric manufacturing to retail and end-use. One of the key initial steps the industry will need to take is standardization to make data accessible. “The biggest [enterprise resource planning] system in apparel today is Excel, so there’s a long way to go,” said Hoover. Binil Starly, professor in the Edward P. Fitts Department of Industrial and Systems Engineering at N.C. State, said the need to capture, analyze and filter data is paramount to Industry 4.0 success. To add this capability, the textile industry will need to invest in a new kind of talent – i.e., computer and data scientists. Changes of this sort have traditionally been met with reluctance in the textile space, where textile manufacturing is often viewed as a required skillset. Starly said this is where academia can play a role in developing programs to train IT skillsets as part of textile and apparel manufacturing skillsets, or vice versa. Messe Frankfurt will present the international edition of its Techtextil conference May 14-17 in Frankfurt, Germany. 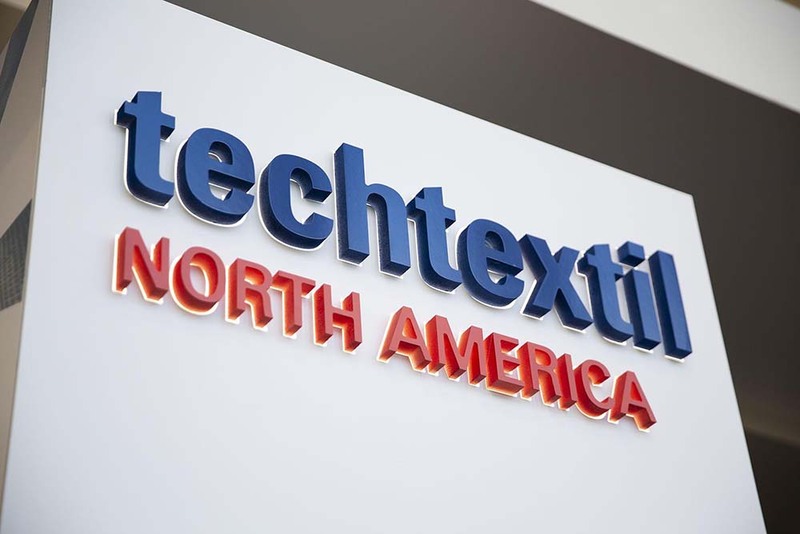 The next edition of Techtextil North America will be presented in Atlanta, May 12-14, 2020. Matt Migliore is Chief Content Officer for INDA Media, publisher of the International Fiber Journal. He has 20 years of experience covering business-to-business markets, with a focus on engineering and technology.